Chancellor Angela Merkel's decision to strip two paintings by Emil Nolde from her office walls has touched off a heated German debate as an exhibition on the Expressionist painter and his links to the Nazis opened in Berlin. 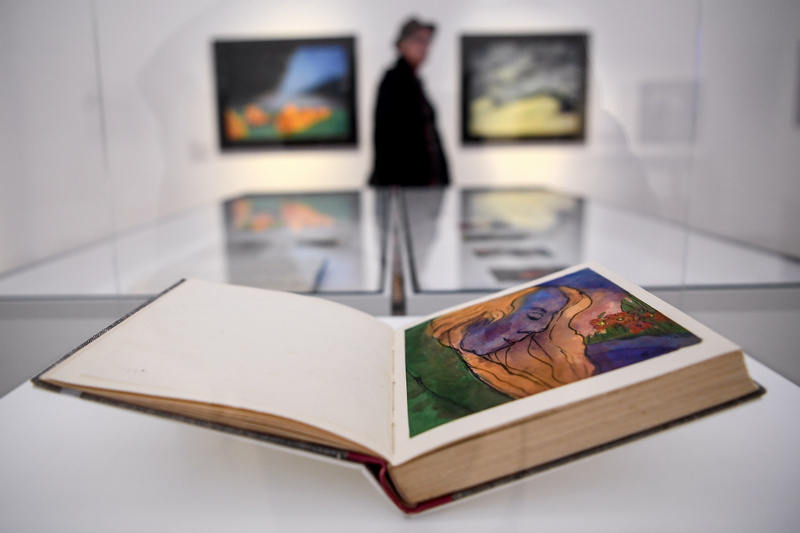 Organizers of the show "Emil Nolde, a German Legend: The Artist During National Socialism," had asked Merkel for one of two paintings on loan to her. But she decided to send both -- a 1915 painting of flowers in a garden and the 1936 work "Breakers", her spokesman Steffen Seibert said. No explanation was given for the decision. Neither was an official reason offered as to why Merkel would not want them back when the exhibition closes in September. But the move was quickly interpreted by German media as a belated rejection by Merkel of the artist over his anti-Semitic views and entanglement with Adolf Hitler's Nazi regime. Amid the controversy, Seibert said Merkel had been offered two other paintings by the Prussian Cultural Heritage Foundation. But after historians quickly pointed out that the concerned artist, Karl Schmidt-Rottluff, was also known for his anti-Semitic comments, and Merkel simply decided to put off the decorating for a while. "The chancellor decided not to borrow any other pictures from the Prussian Cultural Heritage Foundation for her office," a spokesman said. The episode has unleashed a round of soul-searching over what kind of place an artist's moral values should have on the way his works are viewed or portrayed. Nolde was long cast in the post-war years as a victim of Hitler's regime because his art was condemned by the Nazis as "degenerate" and removed from museums. But research has shown he was a vocal anti-Semite and fervent supporter of the Third Reich. At the exhibition of Nolde's works which opened Thursday at Berlin's Hamburger Bahnhof museum, curators Aya Soika and Bernhard Fulda sought to dispel the myths surrounding Nolde's persona, putting on full display his anti-Jewish views alongside his works. Fulda conceded that he was "slightly surprised" by Merkel's decision to return the two paintings. 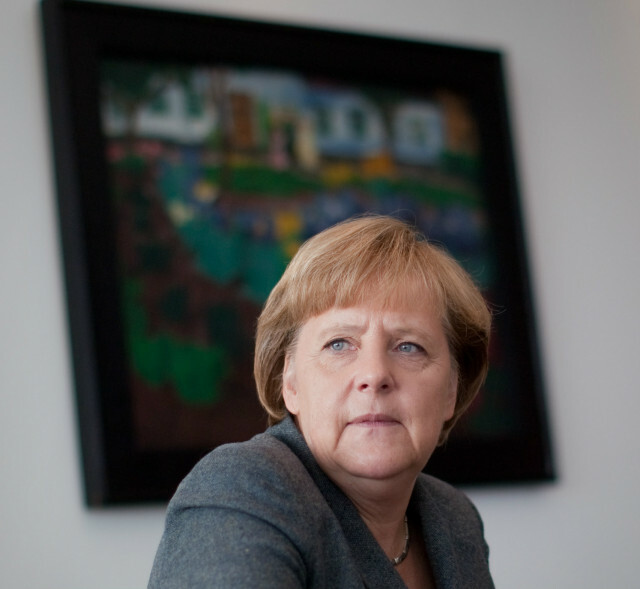 Angela Merkel with one of the Nolde paintings in her office. "There is a way you can use the complex and difficult and indeed negative German past to say 'it's still relevant today, and we're not just looking the other way'," he said. But he acknowledged that such parsing may not be a priority for a leader who is battling global crises on multiple fronts. Writer Florian Illies, in Die Zeit weekly, also said it would been more productive to "give space to the truth, that mean-spirited people can also make high art." "It is of course uncomfortable. But much more courageous than starting again to remove paintings from the walls." Thole Rotermund, the treasurer of Germany's federation of galleries and art traders, told news agency DPA that Merkel should give a clear explanation for her decision. If Nolde is being shunned because of his political views, "then she should no longer be sitting in the first row" at the Bayreuth opera festival which Merkel attends annually and which features the works of notorious anti-Semite Richard Wagner. For Christian Ring, the director of the Seebuell Ada and Emil Nolde Foundation, the debate that has erupted over the artist "is very, very exciting". "I think it is right that people are talking about it, and that people are analyzing the situation and discussing it. "That's something I find more important than what's been removed from the walls or not removed. And that's what we're trying to do with this exhibition -- we want a discussion, how should we navigate this vis-a-vis our moral compass," he said. Merkel's office too, "must develop its own view on what art should be presented in the chancellery," he said. One thing was certain though -- Merkel's decision would go down in history as an "anecdote to show how after so many years, ... Hitler... still generates so much interest that is difficult to ignore," predicted Fulda. "And that's why you get this panicky reaction."